At the tip of your nose are two inverted "U" shaped "alar cartilages". This cartilage is responsible for the rigidity and breadth of the nose wings. When the lower part of the nose wings "alar base part" is removed as shown above, there is narrowing in the nose wings and nostrils. The upper region of the alar wings can be narrowed by nasal aesthetic surgery (alar cephalic resection). However, it is removed in skin and subcutaneous tissues in alar base resection and the incision site is camouflaged by bringing the incision area to the curvature point between the nose and cheek (alar facial groove). 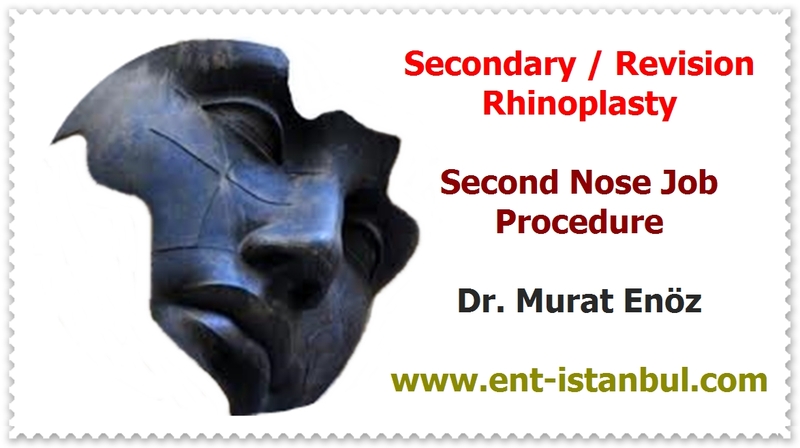 In the alar base resection method shown above, which is intended to narrow the nose wings and reduce the nose width (nose threshold) when viewed from the front, the cross-sectional area of ​​the nose holes is decreased or decreased. For this reason, it may cause complaints such as increased nasal airway resistance and nasal obstruction in patients with this procedure. Unfortunately, the resection made is causing permanent narrowing of the nostril. The nose wings of people of African origin are wide and rigid towards the sides, allowing the air to easily enter the nose during breathing. In alar base resection, on the contrary, it is aimed to narrow this region. It is a technique that needs to be used more especially in people of East Asian and African descent. 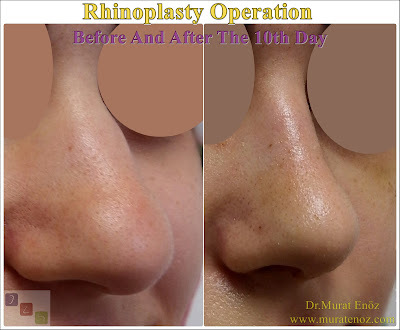 However, in asymmetric resections done, permanent asymmetric appearance at the tip of the nose can be caused. For these reasons, it is a technique I rarely use.